If you want to buy a Center High School yearbook or sell your CHS yearbook, this is the place to do it. Just make a post below to find another person who went to school in Center to make the trade. I am trying to find someone who I think graduated a year or two after me. I graduated in 1983. Are there copies of the yearbooks for 1984 and 1985 available? 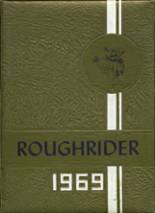 Looking for 1955 yearbook for when my wife Emma Elizabeth(Betty)Willoughby was a freshman.